It’s never been easier or cheaper to securely back up your data. Or to share with family or colleagues. Or to synchronize all of your devices so that the file you need is always available no matter where you are. Here is a short overview of the providers for storing your data in the cloud (see related article on Data Storage ). 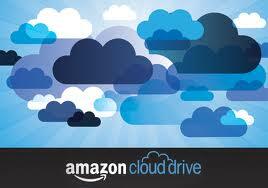 Amazon Cloud Drive – Probably the most widely used cloud storage service, and free to anyone with an Amazon account (which is just about everyone). For Kindle owners you can view your photos and documents. First 5 GB are free, 20 GB for $10 per year up to 1000 GB for $500 per year. There are different sizes in-between for 50 GB ($25), 100 GB ($50), 200 GB ($100) and 500 GB ($250). For businesses, Amazon also offers their “S3” service to make web-scale computing easier for developers. Update (10/17) – Amazon now offers a 100GB storage for $11.99 per year, and 1TB storage for $59.99 per year. A recent book, Amazon Cloud Drive – Ultimate User Guide Master Your Cloud Drive Right Now (Amazon Cloud Drive, Amazon Prime, Amazon Drive) ($9.99 paperback, Free on Kindle Unlimited) covers everything you need to know about the Amazon storage plans. Apple iCloud – Apple claims their iCloud is the easiest way to manage your content, and from all aspects this appears valid. Unlike the other services, it’s already integrated into all apps on the Apple platform so it’s seamless and automatic. For anyone with an iPhone, iPad, Mac or using iTunes, this service is the winner. Store and share photos with PhotoStream. Edit and manage documents with automatic revision updates within the app. One unique benefit for anyone using an IOS device for an e-reader / electronic book is that any book purchased from any device in the account is automatically shared across all devices. You can access it anywhere, anytime on any device along with make notes and highlights to the text. Another distinguishing feature is the ability to save and synchronize your email, calendar and contacts. Pricing is first 5 GB free, 25 GB is $40 annually and 50 GB is $100 annually. Box – With about 11 million users, this is the newest entry into the storage market. This is best used for collaboration of presentation and file sharing rather than simple data back-up. Users can create materials and then add unique logos and color schemes. Cost is free for the first 5 GB, and $9.99 per month for up to 25 GB. DropBox – The fastest growing cloud service has over 50 million subscribers. For travelers and people with multiple devices to synchronize, it’s the most convenient option available. Move or save a file to your Dropbox folder and it’s instantly saved in the cloud and synchronized to all your other devices. The first 2.5 GB are free, and $10.00 per month for up to 100 GB. Google Drive / Google Docs – In addition to storing and synchronizing your data, Google also provides a suite of web-based editing tools to allow users on-line capability to create, modify and share documents. The major drawback is that you must be connected to the internet in order to use the tools. Data storage is free for the first 5 GB and $2.49 per month for each additional 25 GB. If you need to work with spreadsheets, presentations and documents but don’t want to buy a Microsoft Office tool suite, this may be the service for you. Microsoft Skydrive – Even though it’s from the makers of Windows, this service works on PC, Mac, iPad and a variety of mobile phones including iPhone, Windows Phone and most Android based devices. A great feature if you are an Office user is the ability to use OneNote to take notes on the go and automatically store / synchronize to the Skydrive. Pricing is comparable to Amazon, with 7 GB of free storage, and additional 20 GB is $10 per year, 50 GB is $25 per year and 100 GB is $50 per year. SugarSync – From their website, ” SugarSync is a free service that enables you to access, sync and share your files across all your computers and devices. We enable you to back up, sync and share all of your documents, photos, music and movies so that you can access them from your PC, Mac, iPhone, iPad, Android, BlackBerry, or any other device”. Unlike the many other services, this is purely for data storage and back-up. It’s advantage is that it works across all operating systems and platforms, including RIM. Plans begin with free 5 GB of storage, 30 GB for $4.99 monthly, 60 GB for $9.99 monthly or 100 GB for $14.99 monthly. Annual prices are available with about a 25% discount. You can get a more in-depth features, benefits and tradeoffs review of the SugarSync offering in this article by Brian Law at Cloudwards. YouSendIt – More of data moving service than data storage, this company allows users to send massive files with return receipts and tracking information. Unlike most standard email accounts with limits under 5 MB per attachment, YouSendIt handles files up to 2 GB. The free plan is a mere 2 GB but allows file sharing up to 50 MB. For $9.99 monthly, storage increases to 10 GB and file size to 2 GB. For heavy data users, $14.99 month gets you unlimited storage. If you wondering what the free package gets you, with 5 GB you can store about 2,000 songs, 2,000 photos and 500 documents. Installation and usage is relatively quick and quite simple. Generally, you’ll need to set up an account and download the application to each device you want to store from and synchronize data with. Security is good with varying levels of password protection. With any of these services, it’s important to read the fine print on the agreement. With some providers, their agreement gives them rights and ownership to everything stored in their cloud. This could be a potential issue for any photographers or film makers looking to sell their products on the web. It’s also critical to know how you can access your data if the company goes bankrupt, gets purchased or is shut down by a third party (like the government’s closure of Kim Dotcom’s Megaupload site).